New website for self catering holiday accommodation in Whitby, North Yorkshire. 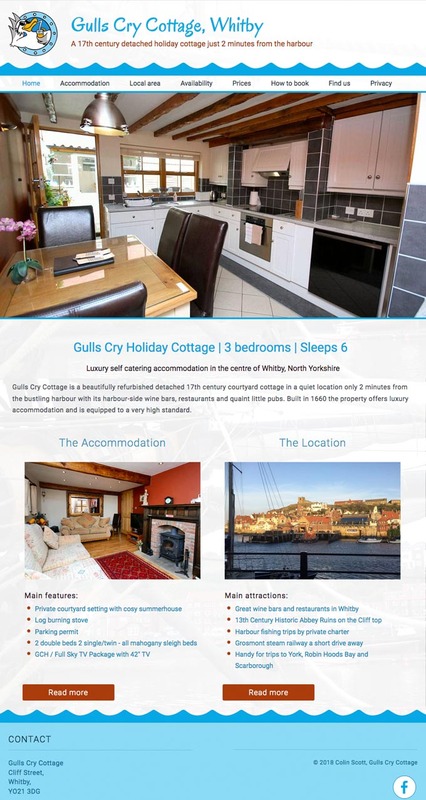 The client required a new website for their holiday accommodation in Whitby North Yorkshire. The client wanted a website using his logo and a background photo of the harbour, which is 2 minutes away from his holiday cottage.